A coalition of community groups and local governments from across the country have come together to pressure CEMEX, Inc., a large multinational cement company, to clean up its act. CEMEX is a notorious and chronic air polluter. In California, Colorado, Florida, Georgia, Illinois, New Mexico, and Ohio, CEMEX has been cited for violating clean air laws and threatening the health of children and families. Among the local groups mounting pressure are the Mothers Against Tire Burning, St. Vrain Valley Community Watchdogs, Friends of the St. Vrain River Valley, and the Colorado Citizens Campaign, all of which have worked tirelessly to hold CEMEX accountable to clean air here in Colorado. Rocky Mountain Clean Air Action has joined these groups in demanding one simple thing: that CEMEX take responsibility to protect the air we breathe. CEMEX's cement plant near Lyons in Boulder County Colorado has violated limits on dioxin emissions over 100,000 times in the last three years and has falsely certified compliance with clean air laws and regulations. The company was cited by the state of Colorado on September 23, 2005 and June 8, 2006 for these and many other violations. 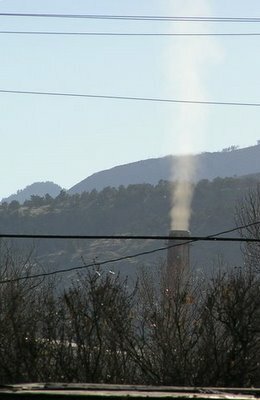 CEMEX's kiln smokestack spews out toxic smoke in this 2004 photo (courtesy St. Vrain Valley Community Watchdogs). According to the U.S. Environmental Protection Agency, CEMEX releases .114 grams of dioxin a year from its Lyons plant. That amount may seem small, but the EPA has determined that exposure to just 0.000001 grams over 70 years is "safe" for people. The amount of dioxins released by CEMEX is enough to poison all 114,680 households in Boulder County. Check out a recent article in the Boulder Daily Camera about efforts to hold CEMEX accountable. Rocky Mountain Clean Air Action heartily applauds and supports these efforts, and strongy encourages everyone to do the same! Board Member Profile: Meet Lauren McCain! Oil and gas developments release more smog forming compounds than any other stationary source in Colorado. Collectively, they release 71% of all smog forming compounds, also known as volatile organic compounds, released by stationary sources in the state. These smog forming compounds are fouling the skies of Denver, the Grand Valley, the four corners, Mesa Verde National Park, and other parts of Colorado. And that's not the half of it. Did you know that oil and gas developments release 83% of all formaldehyde released by stationary sources in Colorado? Formaldehyde is a known carcinogen and a smog forming compound, yet oil and gas developments release 1,877,582 pounds every year in the state. They also release more benzene, acetaldehyde, acrolein, hexane, toluene, and xylenes, all of which are toxic smog forming compounds, than any other stationary source. Armed with this knowledge, Rocky Mountain Clean Air Action is now taking aim to clean our air and reduce toxic smog forming compounds from oil and gas development. The state of Colorado is proposing a rule that would do just that, both in the Denver metro area and statewide. We're weighing right now in to fend off industry opposition to the rule and convince the Colorado Air Quality Control Commission that smog reductions are needed. You can also voice your support for the smog reductions, and make sure the Commission acts to clean our air from oil and gas air pollution. With your support, we're sure to get the smog reductions we need across Colorado. Ignoring the advice and recommendations of its own Clean Air Scientific Advisory Committee, the American Lung Association, the American Medical Association, the American Academy of Pediatrics, the American College of Cardiology, the American Heart Association, the American Cancer Society, and others, the U.S. Environmental Protection Agency (EPA) adopted limits on fine particle pollution that threaten tens of thousands with premature death. Fine particles are 1/28 the size of a human hair, small enough to fall to the bottom of our lungs and even be absorbed by our bloodstream. They're released by smokestacks, tailpipes, and even dust from dirt roads. Those most at risk from fine particle pollution are children, seniors, those with asthma, those with emphysema, and those with heart disease. As many as 64,000 people die prematurely every year from fine particle pollution. The EPA's decision to play politics with clean air puts Rocky Mountain communities at great risk. Rocky Mountain Clean Air Action is working to reduce fine particle pollution from smokestacks and tailpipes throughout the region, and has called upon the EPA to listen to science and protect clean air. Lauren McCain is one of Rocky Mountain Clean Air Action's five founding board members. A committed and compassionate activist, Lauren is an advocate for the prairie, a wildlife photographer, one of the founding board members of Southern Plains Land Trust, and one the board of directors of the Prairie Dog Coalition. She's worked with the International Rivers Network, Rocky Mountain Animal Defense, and the Center for Science, Policy, and Ou tcomes. She earned her Ph.D. in 2003 in political science from the University of Colorado and now works as the Desert and Grasslands Program Coordinator for Forest Guardians, a Santa Fe-based group working to protect wildlife in the southwest. Although Lauren's work focuses on wildlife, there is an overlap with clean air. As Lauren has said, "Air pollution is a serious threat to wildlife. Acid rain, mercury contamination, and global warming threaten animals as much as people. Whether it's asthma or declining burrowing owls, it all comes back to air pollution." Lauren's husband, Rich Reading, also suffers from asthma, which is made worse by ozone pollution in Denver. Lauren brings a wealth of experience and Rocky Mountain Clean Air Action is grateful for her advice, support, and dedication to protecting a healthy environment for people and animals. Rocky Mountain Clean Air Action needs your support, you can join online today! 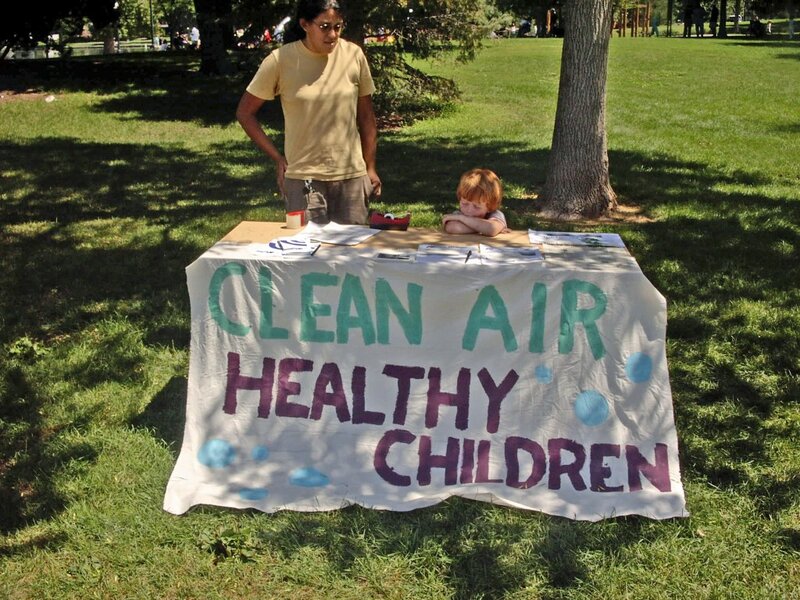 Founded last year, Rocky Mountain Clean Air Action has aggressively stood up for our right to breathe clean air. Our overarching goal is simple: close the net on polluters, achieve decreases in air pollution, and protect our children and communities. The results have been astounding. Yet our successes can only continue with the support of members. A donation of $35 or more is what we're asking to become a member of Rocky Mountain Clean Air Action. Click here to join online in seconds, or you can send a check to the address below. Rocky Mountain Clean Air Action is fiscally sponsored by a 501(c)(3) nonprofit, so all donations are tax deductible. If you've already become a member, thank you so much for your support! Because of your membership donations to date, we've been able to pay for office space for two months, work to reduce smog in Colorado, eliminate loopholes in Colorado air quality laws, empower local communities to challenge polluters, and pay our phone bill. Our work is not done, though. If you haven't joined, we need your support to sustain our efforts to protect clean air now and into the future. The Grand Junction Daily Sentinel's Mike McKibbon excellently reported today on air pollution from oil and gas development in western Colorado. The article explains the obvious: that booming oil and gas development, particularly in Garfield County, is fouling our air and jeopardizing the health of families and local communities. Beth Dardynski of Silt, who lives next to condensate tanks at a natural gas well drilled near her house, commented "the air would bring the fumes down into our homes each night. It smelled like I had an open diesel can next to my bed.” Beth and other people in close proximity to these wells are reporting headaches, nausea, and other illnesses along with the foul fumes. Oil and gas developments release xylene, which is used as a paint thinner, and other toxic air pollutants. Can you imagine living daily with the smell of paint thinner in your home? What is happening in Garfield County is a sure sign that oil and gas development is not being done right. Yet, as Rocky Mountain Clean Air Action is quoted, doing it right is easy. In fact, industry can profit off of controlling air pollution. Most of the pollution released is natural gas, which can be captured and sold. Estimates from field studies show that industry could make upwards of $600,000/year by recovering gas from condensate tanks at just one natural gas well. 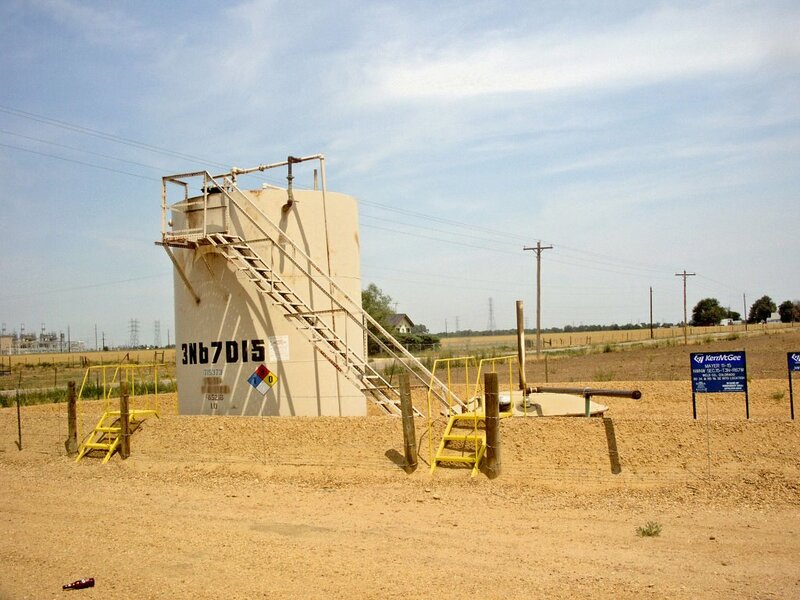 EnCana Oil and Gas is already utilizing cost-effective technologies to eliminate air pollution from its North Parachute Ranch gas processing plant in Garfield County. Sadly, the oil and gas industry is simply throwing away money, while at the same time filling our air with toxic chemicals. Doing it right is easy, yet the oil and gas industry opposed to reducing its pollution. In a companion article, McKibbon reports that the Bill Barrett Corporation is opposed to a proposal to reduce air pollution from oil and gas developments. With headaches mounting and money being thrown away, Barrett's opposition to clean air seems to be the epitome of arrogance and ignorance. One can't help but be reminded of Nero fiddling while Rome burned. Fortunately, Rocky Mountain Clean Air Action and its partners are poised to hold the oil and gas industry accountable to clean air. You can help by voicing your support for smog reductions in Colorado! 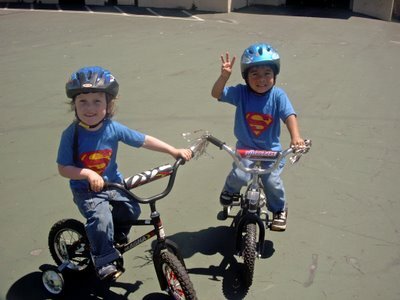 More Support for Statewide Smog Reductions! Support for stronger statewide smog reductions continues to build and people have an opportunity to join the groundswell! The City of Glenwood Springs is the latest of several local governments in western Colorado to not only vote in support of a statewide rule that would reduce emissions of smog forming compounds from oil and gas developments by as much as 95%, but to support an even stronger rule. Carbondale, Rifle, Garfield County, and others have also joined in support of smog reductions. Folks in western Colorado, spearheaded by the Western Colorado Congress and its member groups, are calling on the Air Quality Control Commission to support an even stronger rule to limit emissions of smog forming compounds from oil and gas developments. The stronger rules would require oil and gas industry to meet the same standards that they're currently meeting in the Denver area, only across the state. It goes without saying that if a clean air rule is good enough for Denver, it should be good enough for the rest of Colorado. As Bruce Christensen, the Mayor of Glenwood Springs, commented, "We should have the same protections that other parts of the state have." You too, can support stronger clean air rules for Colorado. Check out the Western Colorado Congress website and write a letter to the Air Quality Control Commission asking for stronger rules to reduce smog forming compound pollution from oil and gas developments. 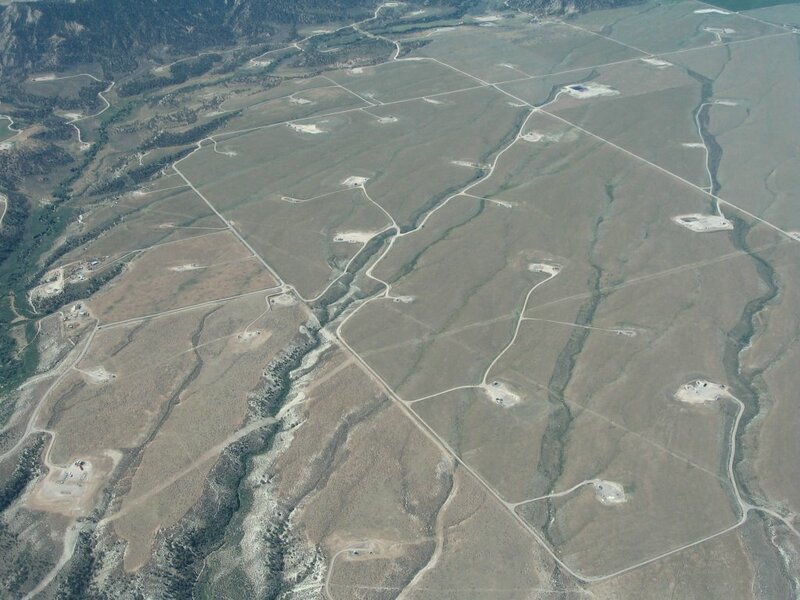 Gas Wells Pock the Landscape in Garfield County, Colorado. According to an article in the Rocky Mountain News today, Colorado could see 23,000 new oil and gas wells drilled in the next 10-20 years. Most of these wells are slated for western Colorado, where, according to EnCana Oil and Gas, "It's a very prospective area for oil and gas development." Oil and gas development carries with it costs, especially when it comes to the health of our communities. Air pollution from oil and gas development in particular is one of the most wide-ranging threats to our health. Oil and gas development already releases 71% of all smog forming compounds released by stationary sources in Colorado. As their name suggests, these chemicals react with sunlight to form smog. They're also hazardous to our health. Oil and gas developments in fact release more formaldehyde, benzene, toluene, xylenes, hexane, acrolein, and acetaldehyde than any other stationary source in Colorado. Want to learn more about these toxic compounds released by oil and gas development and how they affect your body? Check out the links on our last blog post and the table on toxic air pollutants. 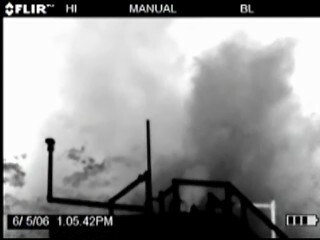 The oil and gas industry may very well be the current king of air pollution. The continued boom all but ensures that they will continue to be one of the largest sources of air pollution in the state. Oil and gas developments, like the natural gas well and condensate tank above, are the largest stationary source of smog forming compounds in Colorado. They also release more toxic air pollutants, including formaldehyde, than any other stationary source of air pollution in the state. Oil and gas developments release more smog forming compounds than any other source of air pollution in the state. They emit 71% of all smog forming compounds, also known as volatile organic compounds, released from all stationary sources. These pollutants are the primary source of smog in Colorado and are toxic. Collectively, oil and gas developments release 27,628 tons of nitrogen oxides a year into the air of Colorado, equivalent to the amount released by nearly 1.5 million vehicles each driven 12,500 miles a year. Nitrogen oxides contribute to acid rain. Oil and gas developments release 18,523 tons of carbon monoxide into our air every year, more than twice the amount released by all coal and natural gas fired power plants in Colorado combined. Oil and gas developments in Weld County release over 50,000 tons of smog forming compounds, or 73% of all smog forming compounds released from oil and gas in Colorado. Collectively, oil and gas developments in Weld County release more than 50%of all smog forming compounds released by stationary sources in the state. This means that oil and gas developments in Weld County are the largest source of smog forming compounds in Colorado. On a county level, oil and gas developments contribute over 90% of all smog forming compounds released by stationary sources in Garfield, Las Animas, Rio Blanco, San Miguel, and Weld counties. See the table below for a rundown of the stats. Since 2002, smog forming compound emissions from oil and gas developments have grown by 70% in Garfield County, 96% in Las Animas County, and over 100% in Delta County. Oil and gas developments are one of the most significant sources of formaldehyde pollution. They release 83% of all formaldehyde released by stationary sources in the state of Colorado. See the table below to see just how much oil and gas contributes. Formaldehyde is a known carcinogen, and is also a smog forming compound. Collectively, oil and gas developments also release more benzene, acetaldehyde, acrolein, hexane, toluene, and xylenes, all of which are toxic air pollutants, than any other stationary source in Colorado. See the table below for a breakdown of toxic pollutants. Click on any pollutant below for an overview of the health effects. The data clearly shows that strong rules are needed to limit emissions of smog forming compounds from oil and gas developments. Fortunately, the Colorado Air Quality Control Commission may adopt such rules. Even better, we now have a chance to voice our support; click here to find out how you can make a difference. The New York Times today slammed the Administrator of the U.S. Environmental Protection Agency, Stephen Johnson, for ignoring science when recommending new pollution standards for fine particle pollution. Fine particule pollution, which consists of particles 2.5 microns in diameter or less, or 1/28 the size of a human hair, contribute to as many as 64,000 deaths every and cost this country billionsof dollars. Johnson ignored the recommendations of his own scientists and refused to set an annual limit of fine particle pollution at 12-13 micrograms per cubic meter. Instead, he recommended retaining the current standard of 15 micrograms per cubic meter, a decision that has since drawn further scientific criticism. The decision could cost as much as $50 billion annually in health care and other costs and puts the health of Rocky Mountain communities at greater risk. Most disturbingly, the decision puts politics ahead of science and the health of our children. Citizens now have no other recourse except to challenge the new fine particle standards in court. For the sake of the health of our communities, hopefully the courts will see through the politics and uphold the science. Garfield County has taken a stand in support of statewide smog reductions, a move that promises to bring much-needed air pollution relief to communities in this western Colorado county. The statewide smog reductions call for reductions in emissions of smog forming compounds by 95% from larger condensate tanks and 90% from larger glycol dehydrators, both commonly used during the production of natural gas. The reductions also call for the installation of standard pollution controls on recirprocating internal combustion engines rated at 100 horsepower or greater. 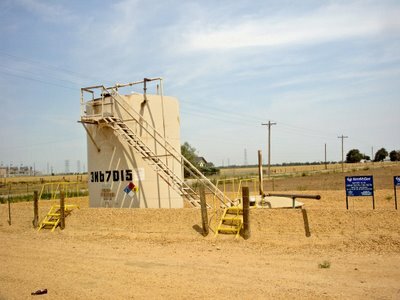 Garfield County has been especially hard hit by natural gas drilling. Gas developments release a 95% of all smog forming compounds in the county. Just since 2002, smog forming compound emissions have increased by 70% in the county. The result is that air pollution has worsened, with brown clouds, hazy skies, and health complains becoming more common. Fortunately, Garfield County is making a move in support of clean air and human health. Western Colorado's air will be loaded with radon gas, radioactive dust, and other toxic pollutants if plans for a new uranium mill move forward. The Grand Junction Daily Sentinel reports that Energy Fuels Resources Corp. plans to build a new mill outside the town of Naturita. Uranium mills seem to be notorious polluters. In Canon City, Colorado, the uranium mill operated by Cotter Corp. has violated state and federal air quality regulations numerous times. Most recently, Cotter released into the air toxic chemicals used to extract uranium from ore without permits in place to safeguard the health of the local community. And let's not forget the uranium mill tailings that have polluted the Colorado River in Utah. Despite all our technology and safety measures, the fact remains that uranium is radioactive, causes cancer, and can irreparably destroy our environment. For the the health of western Colorado communities, hopefully there will be no new uranium mill near Naturita. Perhaps the headline, "Environmentalist outlines air quality issues," is sign enough, but an article in the Craig Daily Press today seems more like an effort to greenwash Xcel Energy. Gary Magno with Xcel Energy, which owns a majority of the large coal burning power plants in Colorado, gave a presentation to the Northwest Colorado Energy Producers Association. Magno doesn't seem to be much of an environmentalist. According to the article, Magno commented that the majority of mercury emissions in Colorado come from foreign countries, like China. Let's put this into perspective. Xcel Energy releases 570 pounds of mercury a year in Colorado, more than half that released by all the coal burning power plants. Together, all coal burning power plants are estimated to release nearly 900 pounds of mercury a year in Colorado. Estimates by the state indicate that approximately 40% of all mercury released in Colorado stays in Colorado. That means 360 pounds of mercury released by coal burning power plants, including 228 pounds released by Xcel, can contaminate Colorado's water. The simple fact that Xcel releases 570 pounds of mercury every year is a frightening statistic, especially given that it accumulates in the water we drink, play in, and eat fish from. Xcel can point the finger to China all they want, but the fact is they're spewing the neurotoxin from their own smokestacks here in Colorado at the same time. We need less mercury, not more double standards. A new coal burning power plant proposed for northwestern New Mexico threatens to increase mercury contamination in streams, increase acid rain, and increase smog pollution throughout the four corners region. To boot, an article in the Durango Herald reports that the proposed Desert Rock power plant has no support in Colorado. At a public meeting held to discuss the future of air quality in the four corners, no one in attendance supported the power plant. The Environmental Protection Agency's (EPA's) Colleen McKaughan even stated at the hearing, "It looks like we need to go back and look again at nitrogen oxides and ozone concentrations." The EPA is proposing to issue the permit for the power plant to be built and to pollute our skies. Hopefully for the people of the four corners region, the mercury, acid rain, and smog that threatens to come from the Desert Rock power plant will never come online. Many groups, including Dine CARE and San Juan Citizens' Alliance, are working to make sure this happens. The Clean Air Scientific Advisory Committee has blasted the U.S. Environmental Protection Agency (EPA) for failing to adopt standards that limit fine particulate pollution to levels that fully protect the health of our children and our communities. The CASAC [Clean Air Scientific Advisory Committee] recommended changes in the annual fine-particle standard because there is clear and convincing scientific evidence that significant adverse human-health effects occur in response to short-term and chronic particulate matter exposures at and below 15 micrograms/m3, the level of the current annual PM [particulate matter] 2.5 standard. While there is uncertainty associated with the risk assessment for the PM2.5 standard, this very uncertainty suggests a need for a prudent approach to providing an adequate margin of safety. It is the CASAC's consensus scientific opinion that the decision to retain without change the annual PM2.5 standard does not provide an "adequate margin of safety ... requisite to protect the public health" (as required by the Clean Air Act), leaving parts of the population of this country at significant risk of adverse health effects from exposure to fine PM. Significantly, we wish to point out that the CASAC's recommendations were consistent with the mainstream scientific advice that EPA received from virtually every major medical association and public health organization that provided their input to the Agency, including the American Medical Association, the American Thoracic Society, the American Lung Association, the American Academy of Pediatrics, the American College of Cardiology, the American Heart Association, the American Cancer Society, the American Public Health Association, and the National Association of Local Boards of Health. Indeed, to our knowledge there is no science, medical or public health group that disagrees with this very important aspect of the CASAC's recommendations. EPA's recent "expert elicitation" study only lends additional support to our conclusions concerning the adverse human health effects of PM2.5. For the sake of the health of our children and our communities, hopefully the EPA will change its mind and adopt scientifically-recommended standards to limit fine particle pollution. Just a reminder that two very important clean air rules need your support! For the health of our children and our communities, please take a minute to send a letter to the Air Quality Control Commission. The first would reduce emissions of ozone forming compounds by 95% from condensate tanks at oil and gas developments north of Denver. The rule would keep smog from reaching unhealthy levels in Denver area communities, as it did this summer. The second rule would reduce emissions of ozone forming compounds at oil and gas developments across the entire state of Colorado. Under the proposal, ozone forming compounds would be reduced by 95% from condensate tanks that release 20 tons per year or more and 90% from glycol dehydrators that release 15 tons per year or more. The proposal would also reduce ozone forming compounds, as well as other pollutants, by around 75% or more from reciprocating internal combustion engines rated at 100 horsepower or higher. Both rules are being considered by the Colorado Air Quality Control Commission. We now have an opportunoty to send a letter in support of the rules and in support of healthy air. Please send your letter by November 2. A draft letter is online here for you to use (just cut, paste, print, sign, and mail), but please considering sending in a personalized note. Citizen input will be vital to securing these smog reductions and your voice can make a difference. If you have any questions contact Rocky Mountain Clean Air Action at (303) 454-3370 at rmcleanair@gmail.com. The Denver Post reports today on the resurgence of coal burning and the drive to build more coal-fired power plants in Colorado. The map below from the Denver Post shows the location of existing and proposed coal-fired power plants. The push for more coal is unfortunate, especially given the impacts to clean air and community health. Coal-fired power plants in Colorado are the largest source of mercury, acid rain, and other toxic pollutants. According to data with the U.S. Environmental Protection Agency, Public Service Company's Cherokee Station-which burns coal 24 hours a day in neighborhoods north of Denver-releases 116 pounds of mercury annually. That's enough to contaminate a body of water with a surface area of over 1,000,000 acres. On top of that, we do have alternatives. Most importantly, by shifting our emphasis from consumption to conservation, we can strike a balance in energy use that does not require sacrificing clean air and our health, and certainly doesn't require coal.